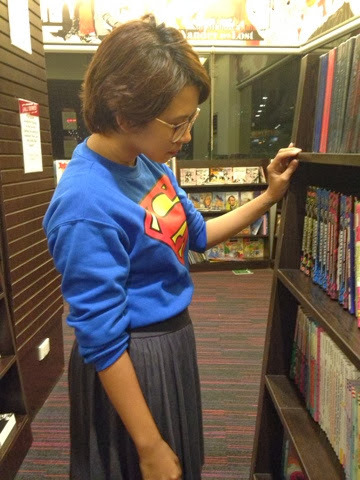 Today was one of those girly emo days, in which my girl Megann Monday - yes, THE Megann Monday - and I both felt confused and lost coz of the men in our lives. Naturally, that meant trying our luck at Press Cafe first and foremost, and then drowning our sorrows in Barcino wine. 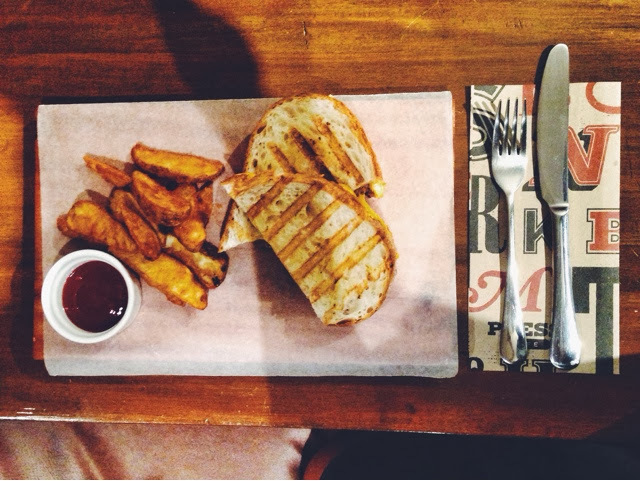 Unfortunately, luck wasn't with us at Press and the Grilled Cheese sandwich that I ordered was the nakakauyam kind. However, the good news is that I saw a familiar face walk by and I literally stopped mid-intense-story-telling to run out, jump up and down and molest the familiar face with the tightest hugs I could muster. 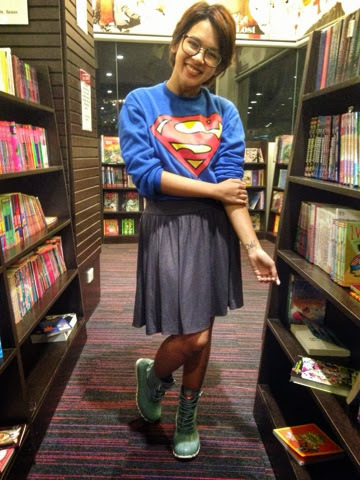 After that, Meg was nice enough to take my outfit shots in my favorite place on the planet atm: Fully Booked ATC. 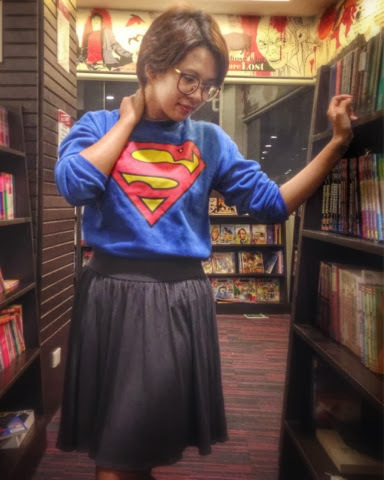 This is the first time I'm trying an OOTD through my iPhone and with filters instead of through an SLR camera and with Photoshop, so tips and comments are very much welcome! 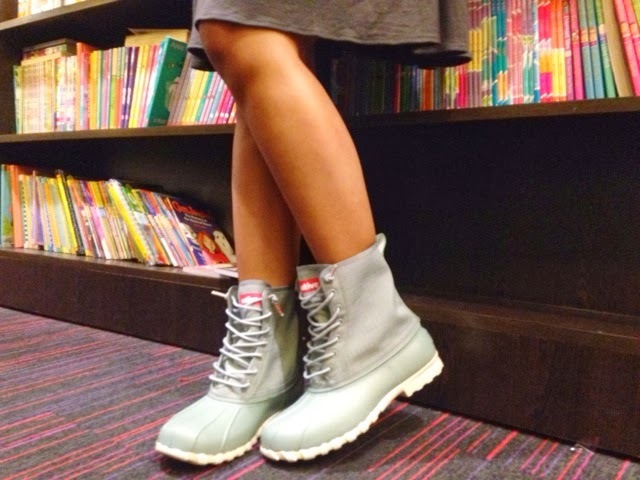 Check out the latest addition to my boot collection: these grey boots from Native! I thought I would never be able to pull them off but now that they have sentimental value since they come with great memories (lol), I'm determined to make them happen. What do you think? Yay or nay? 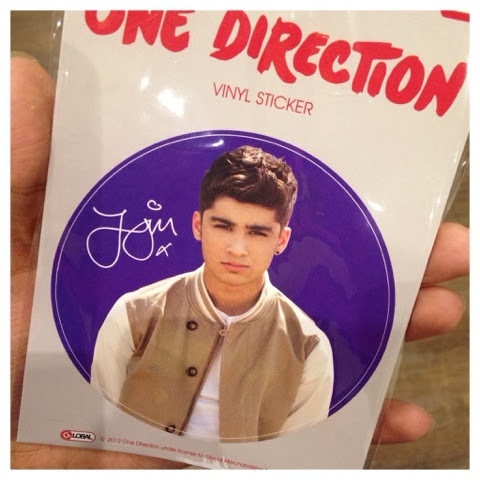 I also saw this Zayn Malik vinyl sticker that I so desperately want to stick onto my MacBook Air. I regret letting it go right now. Someone please indulge my One Direction obsesh and buy it for me! Huhuhu. The night ended with a bottle of wine, Miguel's guns, free chips and a new Southern friend with good taste. Lol. I think Barcino with my girl is one of those traditions I would actually kill for. 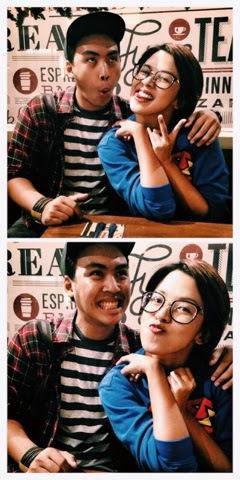 Like, if Meg ever gets a boyfriend who stops me from having Barcino wine night with her, he's gonna have to die. Ganung levels. It's been a helluva week for me. Definitely one for the books, though. My mind is all over the place. My heart is torn into pieces and scattered in the wind. But Megann makes it all worth it coz I always take home something knowledgeable from her. Tonight, for instance, she reminded that, like her parents, there is still hope for people to fall in love, get married and live happily ever after. And that even the busiest of people still have the ability to feel, love and be clingy when the right person comes along. Love this outfit of yours.